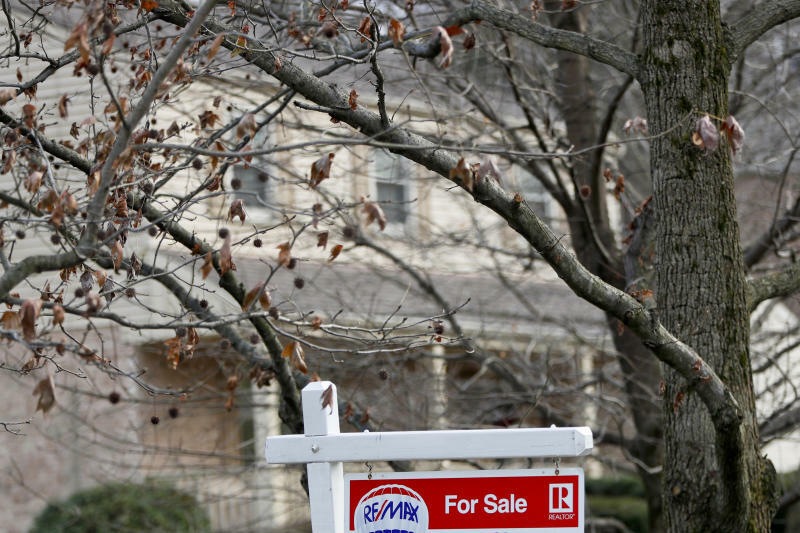 WASHINGTON (AP) — U.S. long-term mortgage rates held steady this week, after falling for six straight weeks to reach their lowest levels in nine months. Mortgage buyer Freddie Mac said Thursday the average rate on the benchmark 30-year, fixed-rate mortgage was unchanged from last week at 4.45 percent. Rates remain far above last year's levels, however. The key 30-year rate averaged 4.04 percent a year ago. The average rate for 15-year fixed-rate loans edged down to 3.88 percent from 3.89 percent last week. The decline in home borrowing rates in recent weeks has been a spur to prospective homebuyers, reflected in a spike in applications for mortgages. The recent easing of rates has come amid steep declines in the stock market and tumbling interest rates on the 10-year U.S. Treasury note — which influences long-term mortgage rates. The decline in rates could help boost home sales, which stumbled last year as higher borrowing costs eroded affordability. The head of the Federal Reserve last week signaled restraint and flexibility on setting interest rates, reassuring investors who had been sending stock prices lower out of fears that the Fed would tighten credit too much, possibly sending the economy into a recession. Mortgage applications jumped 13.5 percent in the week ended Jan. 11 from a week earlier, reaching their highest level since February 2018, according to the Mortgage Bankers Association. The average fee on 30-year fixed-rate mortgages declined this week to 0.4 point from 0.5 point. The fee on 15-year mortgages held steady at 0.4 point. The average rate for five-year adjustable-rate mortgages rose to 3.87 percent from 3.83 percent last week. The fee was unchanged at 0.3 point.